3 Points Digital needed a website and brand identity for their consultancy. Their identity focussed on the combination of 3 different streams of business coming together to guide businesses in digital transformation. We worked together over a period of 5 weeks through discovery and conceptualising through to wire-framing and high fidelity design. 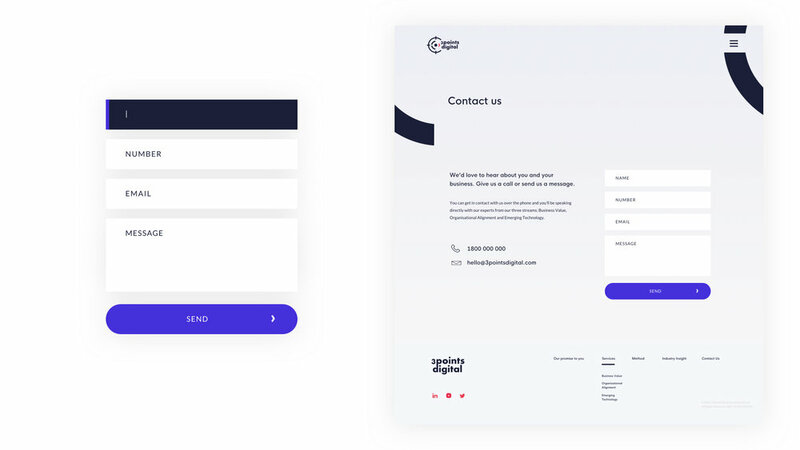 With UX at the heart, I created a strong logo and purposeful aesthetic that was carried through the web interface design and their very own stylised presentation template, complete with the style guide. 3 points digital wanted to develop a brand that was striking, modern and to-the-point. Their existing logo had incorporated themes of navigation, with three streams of business coming together to form direction. I worked with these themes and gave it a fresh look.